Check out our EVENTS page to see what events we’ll be at! If you can’t see us in person, we have limited stock of items at our online store, which you can check out HERE. Raven’s books are available at most major retailers worldwide including Amazon, Barnes & Noble, iTunes, Powells, etc., but at our store, you can get an autographed copy! 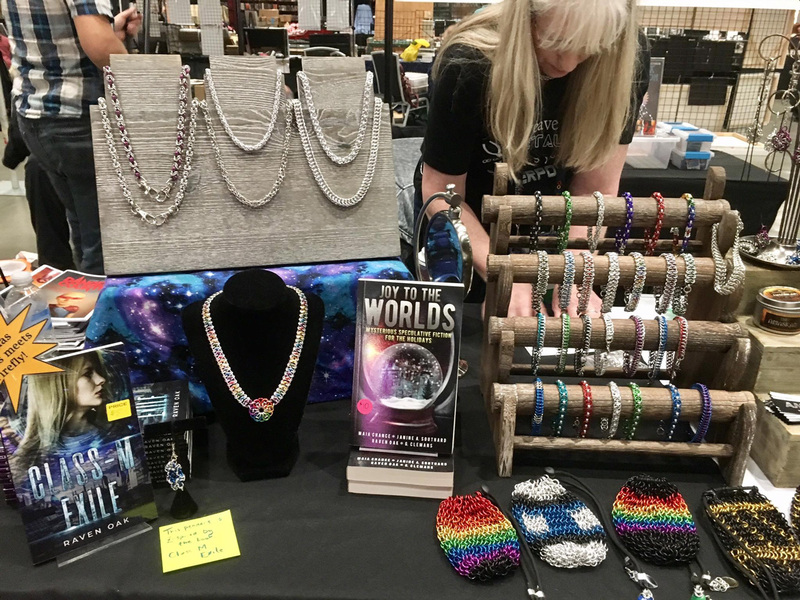 We sell a variety of geeky, handmade chainmaille jewelry & science fiction/fantasy novels by local author Raven Oak. 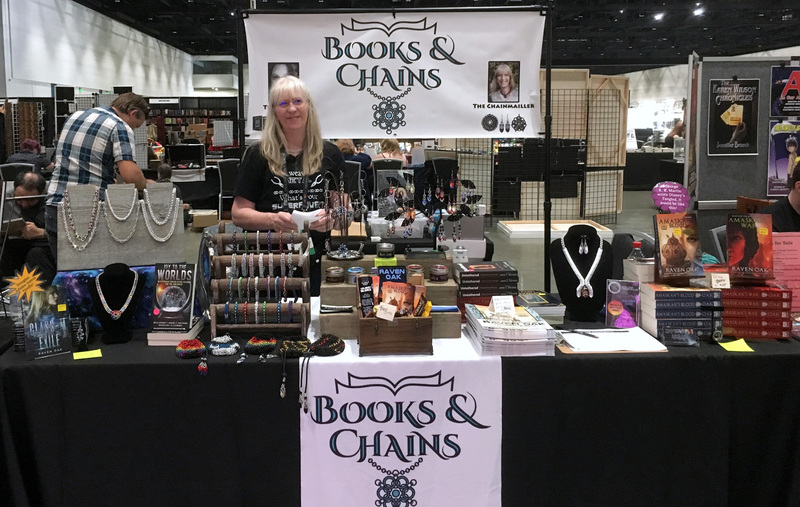 Much of the chainmaille is inspired by Raven’s books as well as various fandoms like Doctor Who, Marvel comics, Star Trek, Star Wars, etc. Sometimes we host guest authors in addition to Raven, and in those cases, we carry their books as well! 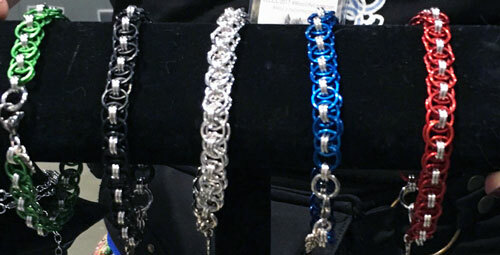 You can see a closer shot here of the variety of chainmaille jewelry. Keep scrolling for more close-ups. Here are some close-up shots of what we often carry! All pendants hand crafted by Elise and come with cord or chain necklace (also available as a keychain, cell dangle, or bookmark). Two of these pendants are inspired by novels by author Raven Oak. 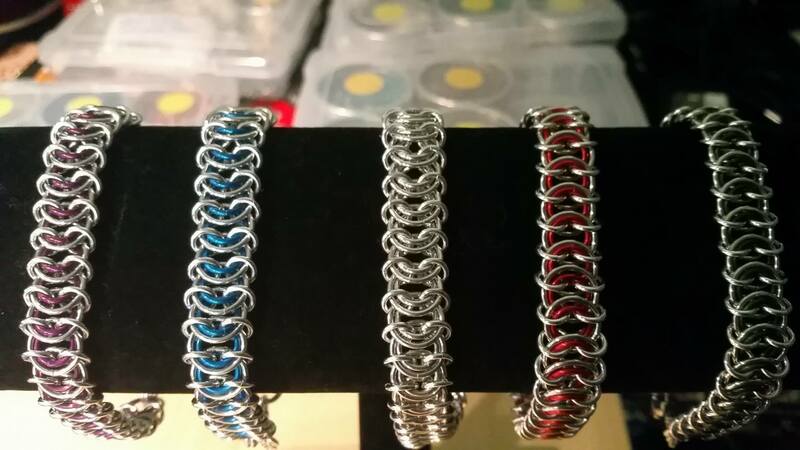 Chainemaille bracelets can be sized to fit a variety of wrist sizes and come in a variety of designs. These bags can hold anything from dice to loose change. 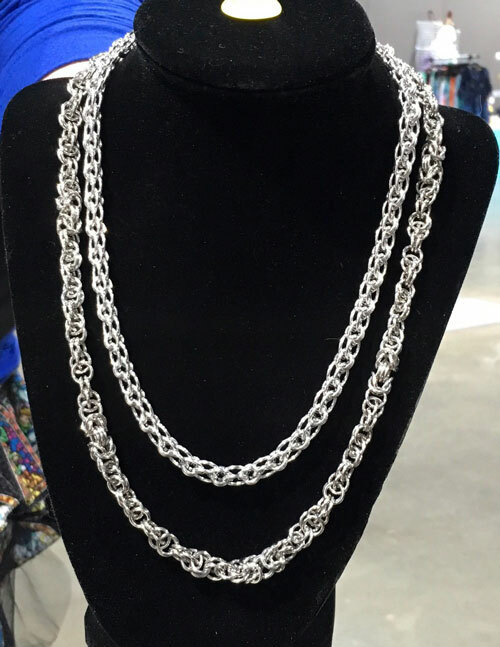 We also have a variety of necklaces. 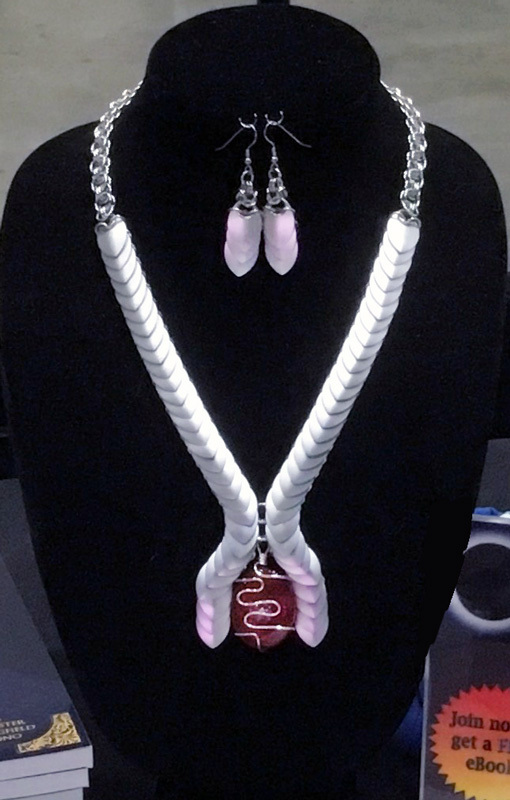 Some simple, and some complex like this special NASA necklace below. 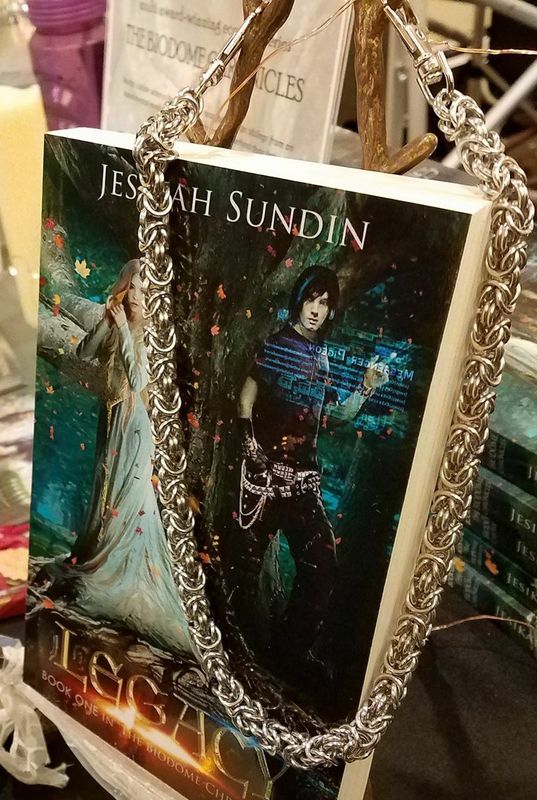 Wallet chains inspired by The Biodome Chronicles by Jesikah Sundin. Hero-themed earrings! We’re adding new designs all the time. 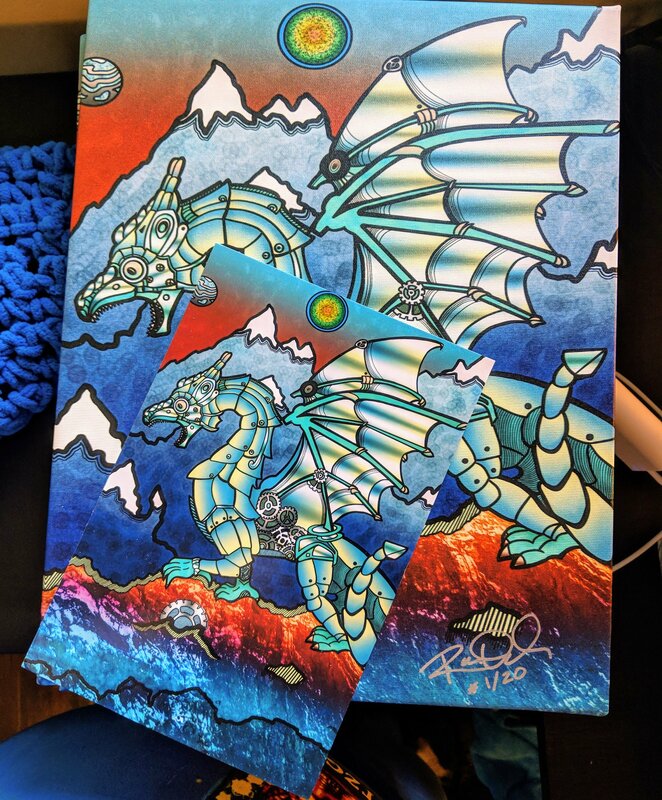 We’re also selling 6×9 prints and signed & limited 11×14 canvas prints of Raven’s art, all of which is inspired by her stories. 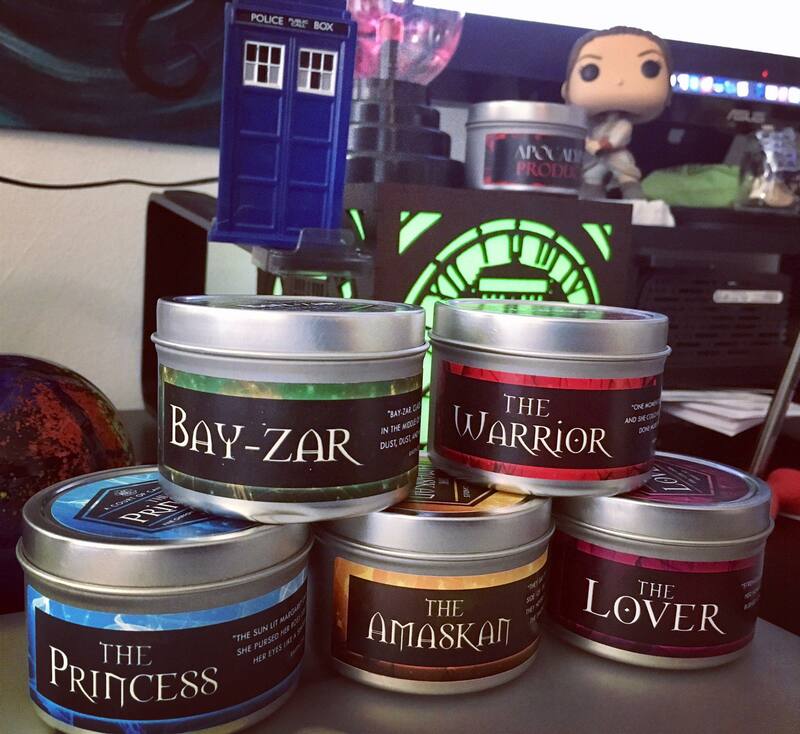 For a limited time, we have candles inspired by Raven’s stories & characters!